In this New section We are going to learn about the texturing in Autodesk Maya. 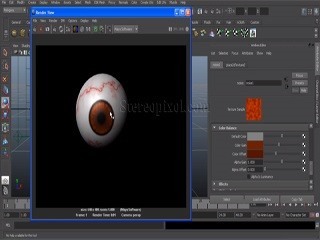 In this tutorial we will learn how to make an eye texture without using any external image or any kind of digital painting. Still we will manage to creat not so realistic but very convincing and customizable eye shader with the help of ramp in Autodesk Maya. Hope this technique will help you to create the same with very little expense.